Want to see more of DeGray Lake during your Hot Springs, Arkansas travel? Try one of the guided lake tours! 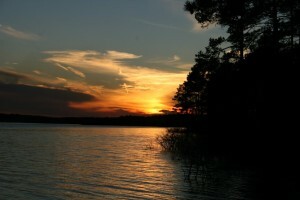 Start out at the DeGray Lake State Park Marina, where you will board a pontoon boat guided by a state park interpreter. You will set out on a 75-minute cruise of the lake. Although the cruise will be educational, park interpreters will keep you entertained! You will cruise past different islands and rock outcroppings, learn about some of the lake’s history as well as the protected birds and wildlife that call the lake home. Best of all, you will get to enjoy the serene beauty of one of the cleanest lakes in the country. Sunset cruises are offered most weekends at 7pm, and moonlight cruises start at 8:30pm on full moon nights. Admission is $9 per adult. Reservations are recommended and we will be happy to make the call for you! This entry was posted in area attractions, bird watching, things to do in Hot Springs by admin. Bookmark the permalink.